Every stay at home mom has experienced a moment or two where she feels as though she’s always surrounded by people. Yes, every mom needs time away but it’s a matter finding that time. Check out these ideas for me time ideas for stay at home moms. These ideas are sure to give every mom the break she needs to regroup and revitalize to carry on caring for her family. Being a stay at home mom is rewarding, but it can also be a very exhausting experience. Taking time to yourself is important so you don’t lose sight of your goals and reasons for making the choice in the first place. It may come down to enforcing your little ones to lie down for some quiet time. I think it’s important to force yourself, as a mom, to avoid any housework during that time. This may be the only way you get some “me” time, so make sure you follow your own rules. Even though some days you will have to break your own rule, make sure that you set aside at least a part of your kids quiet times to do something for yourself. That can be a long shower, painting your nails, reading a few chapters of a book or watching the latest episode of your favorite television show. One way to get me time as a stay at home mom is to create a schedule for your family. Carve out times in the day where you can take for yourself. Perhaps there’s a television show on that your children love, use that 30 minutes to get your brain on for the day so you can focus. Sticking with the same bedtimes, times to get up in the morning and nap times can help your day go much smoother. There are a few times in life where being a stay at home mom doesn’t allow you to get away from the kiddos altogether. This is when you can consider something simple like journaling. Writing down how you feel is a great way to express your feelings and feel as though you’re being heard. This can also be a great way to keep track of changes in yourself as well as your children over the years. Keep your journals as a way to look back and remind yourself of the obstacles you have overcome. Yes, moms spend a lot of time cooking and baking for their families, but spend at least one day a month making something that you love. Making your favorite dessert is a great way to get some cooking therapy in and to also enjoy a few bites of your favorite morsels. Sometimes it really is just a bit of chocolate that you need to help yourself feel better. Creating a quiet nook in your home, where you can escape for me time, is a great idea. Sometimes stay at home moms just need a quick escape to regain their composure and get enough energy to face the rest of the day. Trust me, there’s no shame in this. A special pillow and blanket in your favorite chair, or a small corner for crafting can both be a great way to create your own quiet nook in your home. If you are looking for ways to help a stay at home mom out, these gift ideas for women are a great thing you can do for them. They can contribute and help them to enjoy their me-time even more! Being a stay at home mom is a wonderful experience, but it is important that you take the time to take care of yourself. 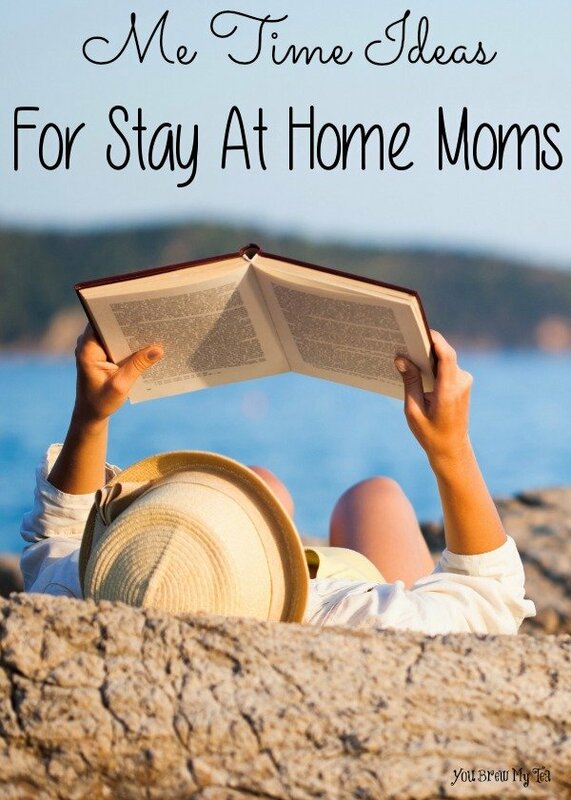 These me time ideas for stay at home moms are just the tip of the iceberg. You can easily create your own routine that will match your needs and personality best.